As a fan of the Alpha Girl Series, my expectations were met and exceeded with this latest installment. Finally, finally the confrontation between good and evil, heroine and villain, takes place and it’s every bit as exciting and nail biting as I could have wished. 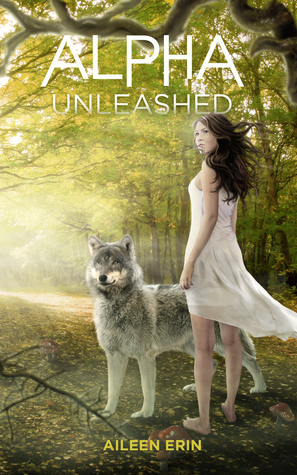 Alpha Unleashed is the fifth book in the series and is not a standalone. For a reader to understand what is at stake, to understand the pain of friends lost, horrors visited and challenges overcome, one has to read the entire series, books 1-4, to experience the immense impact book five has for a follower of the plot arc and the heroine, Tessa and her alpha hero, Dastien. It’s told from first person POV and the author never missed a beat because a reader only knows what Tessa knows which left both of us open to the surprises and emotional challenges that pepper the novel. All the loose ends get wrapped up in this final novel with regards to Luciana. That witch is vile, vindictive, determined and not quite herself; certainly not as any of her coven knew her to be, which is quite the surprise later on in the book. There is good news about Raphael, fascinating intrigue with the introduction of Van and his association with Cosette, Tessa and Dastien’s bond is finally sealed, but not done quite as expected and through it all, Tessa’s family provides the unconditional love and support that gives the heroine strength, and the story heart and grounding. Family is important – Tessa’s family and her pack family, and they’re worth fighting and dying for. There is action galore especially in the final battle. There are many moments of suspense, of not knowing who will make it, what potions will work, who the enemies from within are, and who else will die. Not to mention the fact that the biggest kept secret is let out of the bag and the ramifications are almost overwhelming for Tessa, who for all intents and purposes, is still a teenager. Talk about growing up fast! Tessa and Dastien are still wonderful together. The author focuses mostly on their relationship and the action, not so much on their love life, which is fine for me. The strength and support Dastien provides is immense but I adore their bantering, those moments of light humor and teasing and how Tessa is affected by just looking at her hero’s yummy abs. Those were fun scenes, special scenes, and they personified what was at stake if she and her allies failed to defeat Luciana. Alpha Unleashed totally wowed me. Every question I had, every wish I hoped, all were more than met and I’m a very happy reader. The Alpha Girl Series was discovered by accident and it’s the best book series I’ve come across in quite some time. It’s unique, intelligent, meaty, romantic, action packed and it grips a reader’s imagination. It’s symbolizes the battle between good and evil and even though the heroes and heroines mostly wear fur instead of the requisite white hat, they get the job done. This is a well written novel and a compliment to the rest of the series – the cake topper, if you will. I heartily recommend this novel, and this series.